The digital age has made the development of a Personal Learning Network (PLN) easier than ever before. 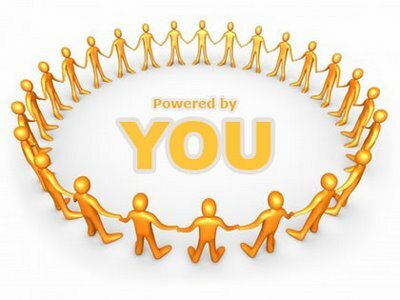 The PLN is a network created by an individual learner, specific to the learner’s needs extending relevant learning connections to those around the globe who share interests, passions, and talents. PLNs provide individuals with an unprecedented ability to access and connect with leaders and experts around the world bringing together communities, resources and information impossible to access solely from within school walls. Personal learning networks can be comprised of people you know via face-to-face (f2f) and virtual connections. In the best of all worlds they are people you connect with in both ways. Personal Learning Networks can be described as 1.0 and 2.0. In the 1.0 stage participants are mainly consumers of information. In the 2.0 stage participants are actually producing/creating information. Most who are just beginning to build personal learning networks may start by engaging in 1.0 activities. As they begin to get a lay of the land and feel comfortable they may be ready to dip their toes into some 2.0 activities. To follow are ideas to get started. Although most educators are familiar with face-to-face options, even the most traditional of connection building can be difficult to create and maintain. Some ideas for doing so though include place-based connections with those in your school and district. Here are two ideas for developing such connections. One terrific way to build your personal learning network is to find out if there are other teachers in your school and district doing innovative work with which you connect. The hard part, is knowing who is doing what. Here in New York, I’ve developed a site called Innovate My Class. Any school can use this site to showcase the innovative work of classroom teachers who have integrated various tech tools into instruction. Teachers can visit this site to share what they’re doing and learn who is doing similar work within their school or district. This makes it much easier to connect with those interested in engaging learners in similar ways with similar tools. Teachers around the globe have great things going on in their classroom, but in most cases do not share what they are doing beyond their classroom or school community. In the 21st century teachers can share the great work they are doing in their classrooms with sites like Innovate My Class, on blogs, via Twitter, Facebook, and more. Build your personal learning network by sharing what you’re doing and connecting with others who are doing (or interested in doing) the same. Visiting other schools is another great way to make f2f connections. I developed a site called Innovation Field Trips which enables schools engaged in innovative work to share with other schools when they are hosting open houses. Visiting and connecting with educators at other schools who are pursuing similar work can result in powerful learning. Following the field trips schools post reflections that include narratives, photos, and video that capture what they learned in relation to their selected problem of practice. An innovation field trip is both a great way for host schools to get better at incorporating innovative practices into their work and for visitors to learn about innovative practices. Use this School Innovation Field Trip Quick Guide if you are interested in hosting one at your school site. When you want to extend your f2f beyond your personal learning time, here are some additional ideas. Once you’ve had some time to look around (also known as lurking), go ahead and respond to or start your own discussion. Learning networks are a great tool to communicate with other innovative educators and leaders. Pick 5 Blogs you find interesting and start reading them. Subscribe to the blogs you selected in Google Reader. Caution: Limit your reader to five to start. Keeping up with more blogs will be difficult. Become a part of the conversation and start commenting on the blogs you read. You’ll be amazed but how well participating in the read/write web helps your professional growth. Want to help a principal start a blog? These principals can show how. Select 5 well-known Edubloggers to follow and watch all the great stuff they have to share. You'll find out a lot of information that fits into 140 character sound bytes. Pick a topic you’re interested in and do a Twitter search for that term. See who is Tweeting about these topics and follow those who have Tweets you find meaningful. Set up an account on Twitter so you can reply to some of those who are Tweeting about topics of interest. Friend colleagues and experts who effectively use Facebook as an educational tool. See what they write. Read and learn. Update your status. Comment on an update of your of your friends. Use the “@” symbol to tag a friend(s) who you think might be interested in an update. This might be an interesting article you’ve read or something about which you’d like their opinion. If you’d like to begin building your personal learning network pick one or two of these ideas and get started building your learning network. Join a social network, subscribe to blogs, comment and Tweet. If you do, you’ll not only learn a lot, but you will contribute to the learning of others as well. Thank you for using the CommonCraft guys! I have been a big fan of their "In Plain English" vids for quite some time and they have really helped me and others I have shared them with. Great resource within your resources! I could agree with this post more. More often than not the information we will need to improve our teaching will not be stored in 'static reference materials' (book, Web1.0 pages). The information we will need will be stored in the experiences of other people. This is why social networking, and a PLN is so important. It tries to show the dynamic over time and the economic component as well. Some really good ideas here that I'll certainly start to apply when training others in developing their PLN. It is fresh too, to see a web post about PLNs not just focusing on the online aspects of connected learning. From September, I'll look to work with a group of Year 8 pupils (12-13) and one topic will be the PLN and how the information receiving exercise has shifted from seeking to being given (RSS, email, aggregators, updates) and how to best utilise these.